Tamper proof plastic bags provide security for a range of attacks including moisture, solvent and mechanical. Available in white or clear plastic each bag features its own unique identification code and barcode. This means its contents can have an audit trail whilst they are in transit. These bags are single use and feature a tear-off receipt with code and barcode on for an accurate reference. The bags feature a panel where information can be written on that works with both pen and pencil. The bag is easy to seal and once closed any attempts at opening will reveal a VOID message. The bag also has the ability to show the method of attempted access. Available in quantities of 500. 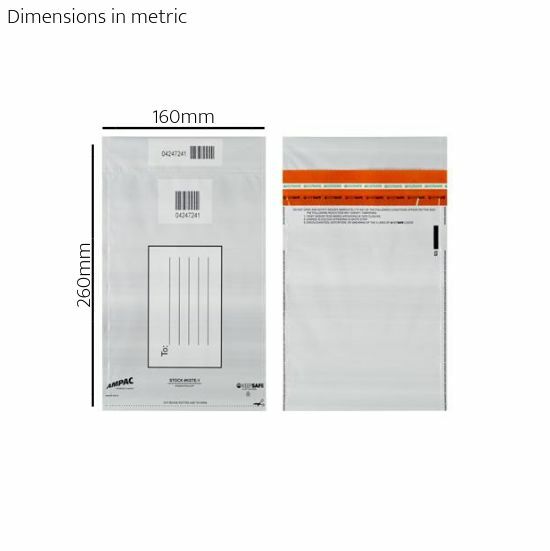 Click here to find out more about our range of tamper evident bags. 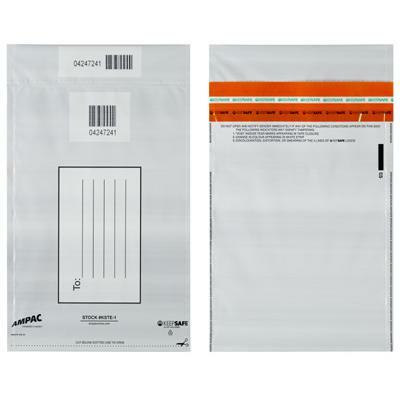 Keep Safe Bags work in adherence to the Home Office guidelines on tamper evident bags.